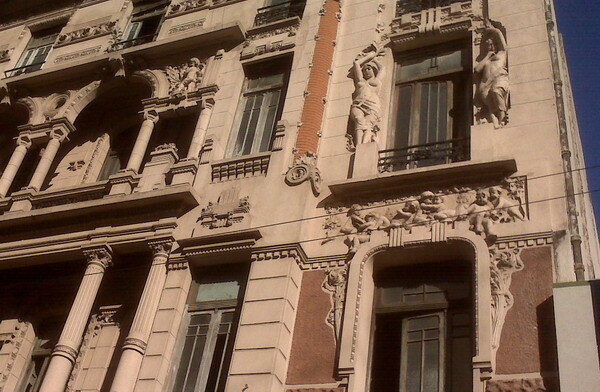 This page is dedicated to the many wonderful buildings you can find my private architecture tour in Buenos Aires. The Peacocks Palace renovates its facade and its masonic mistery! This amazing building was done by the Italian Virginio Colombo (Colombo, means Columbus) in 1912. The building is fascinating and it came to the News due to the many owners restored all the façade. It was always an amazing building but today is shining. 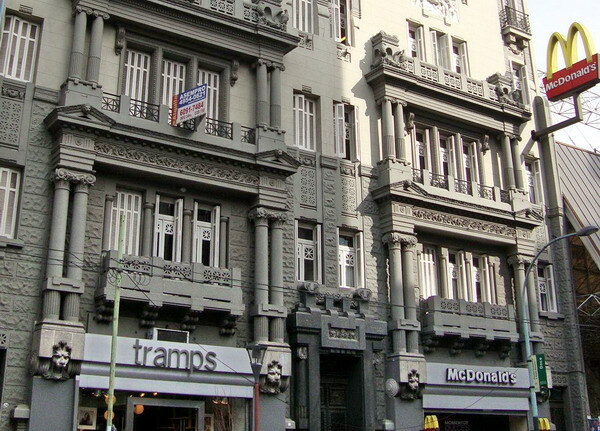 I usually include it my private architecture tour in Buenos Aires although is not centric. 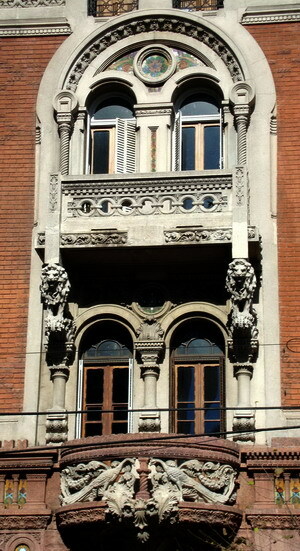 The name of it is coming from the decoration of the balconies, granite peacocks facing to each other but there are other animals like lions. For many people, as Colombo was a Mason, these lions and peacocks has a Masonic simbolism. There are also many little tiles with figures doing an eight points star are considered Masonic by many people. 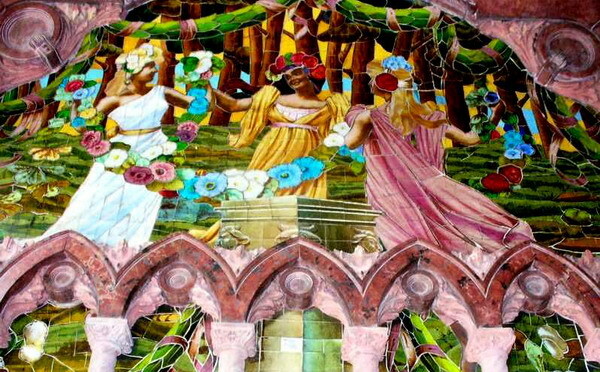 Inside the building is colorfully dressed with mosaic murals (where many people sees Masonic icons too). Colombo had a mysterious dead; he was founded with a bullet in his head when he was a successful independent architect and is not clear how it happened. He is not the only young Italian architect passing away with a bullet; there is the story of Meana, the second architect of Teatro Colon (Colon means Columbus in Spanish!) who was killed by the lover of his wife.